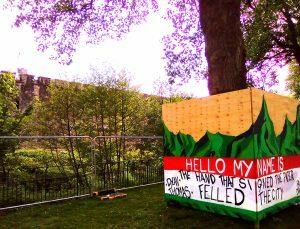 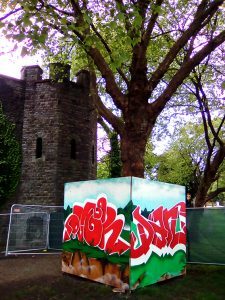 Cardiff Council very generously paid for our paint – a Welsh flag colour theme seemed appropriate, and I asked wordsmith Rufus Mufasa (Dope Biscuits) to pick out some Dylan lyrics. 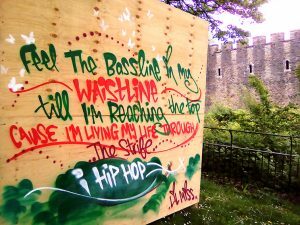 To link the theme to today’s living, breathing poetry, DJ Alchemy (The Hold Up/Applied Science) kindly helped me pick out some lyrics by our homegrown rappers. 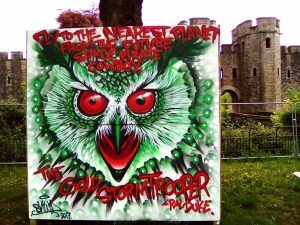 Thank you to Over, Dan1, Plus, Tao, Sega, Squid and Mr Draws for the love. 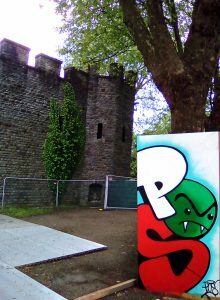 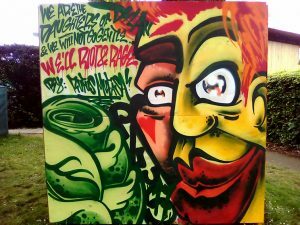 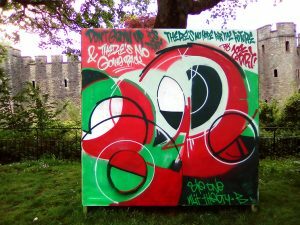 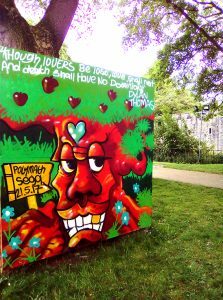 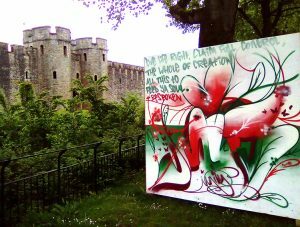 Graffiti and Hip-Hop is strong in Cardiff, and we are giving a nod to Dylan Thomas as well as recognising the important contribution of rappers to Welsh culture. 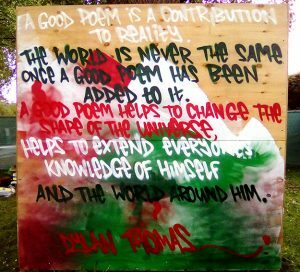 Find out more about Literature Wales’ International Dylan Thomas Day here.